Was the land for the first Baha’i Temple purchased with Opium money? Yes, the land was purchased with the money of Opium. Not only Haji Mirza Muhammad-ʿAli but even Mirza Aqa Taryaki and Mirza Ali Taryaki were Baha’i Opium Traders. Here are some details regarding the Opium money which was used in the Baha’i Temple. Born in 1824, he was the oldest son of the Khal Akbar. He was a successful, wealthy merchant who extended the family’s trading links to China. He lived there for some time, having his home and office in Hong Kong and a warehouse in Shanghai. Due to economic depression in Fars and family bankruptcy, Haji Mirza Muhammad-ʿAli went to China for 10 years. There, he became the main contact for the opium trade of the merchants of Isfahan, Yazd, and Fars. He has also visited India often. 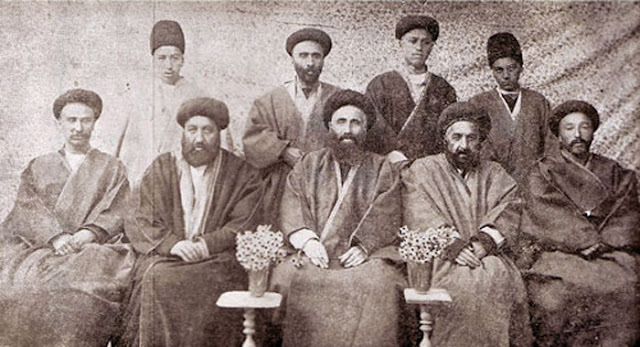 While on pilgrimage to Mecca in 1859, Haji Mirza Muhammad-ʿAli, his brother Haji Mirza Muhammad-Taqi, and his cousin Haji Siyyid Mihdi visited Bahaʾu’llah in Baghdad, the first of the Afnans to do so. It appears that they became believers at this time. In 1887, Haji Mirza Muhammad-ʿAli returned from seven years in Hong Kong and visited Bahaʾuʾllah in ʿAkka. At Bahaʾuʾllah’s request, he went to Russia, where he bought several parcels of land in ʿIshqabad and the nearby town of Firuzih. One parcel, named Aʿzam, was to serve as the site for the Mashriquʾl-Adhkar of the new Bahaʾi community in ʿIshqabad. The others were to be endowments providing income to support it. When Haji Mirza Muhammad-ʿAli died in Bombay in 1896, the Muslims refused to allow his body to be buried there, threatening to burn it. His body was brought to Karachi and then to Bushihr, where the Iranians would not let it land. Eventually, and after an enormous ordeal, it was buried at Ctesiphon, near Baghdad. In May 1959, as one of the objectives of the Ten Year Crusade, it was re-interred in the Bahaʾi cemetery in Baghdad. On Haji Mirza Muhammad-ʿAli’s passing, ʿAbduʾl-Baha revealed several Tablets extolling his virtues and composed two Tablets of Visitation. Haji Mirza Muhammad-ʿAli was married to a maternal cousin, who was a daughter of Haji ʿAbduʾl-Husayn, a renowned Shirazi merchant and a brother of Haji Muhammad Khalili. The two brothers were not believers. The export crops passed through Shiraz on their way to the Gulf. Iranian long-distance merchants from Fars developed marketing networks for these commodities, establishing trading houses in Bombay, Calcutta, Port Said, Istanbul and even Hong Kong. The encounter with European colonial institutions, and with local reformist and independence movements, made these Iranian expatriates more cosmopolitan than the majority of their compatriots. Within Iran, those merchants who proved successful in the opium trade grew fabulously wealthy and politically influential, as did the government officials, such a Qavam al-Mulk, who sponsored it and taxed it. As we shall see below, one of the important Iranian export houses (with an outpost in Hong Kong) was operated by the Afnan clan, Baha’is and relatives of the Bab.